Here we develop 50 sustainable, energy-efficient "app hotel" apartments. The country house “Goede Hoop" (Good Hope) is the central focal point of this entire project and will serve as a front desk with receptiion and a Bar/Restaurant facility for both owners and guests. The apartments are fully-equipped, luxuriously decorated and have a high-end finishing. The living areas start at 1076 sq/ft with 2 large bedrooms with a en suite bathroom. Large bright living room with a beautiful open kitchen and a spacious terrace with room for a wonderful lounge sofa and a cosy dining table. 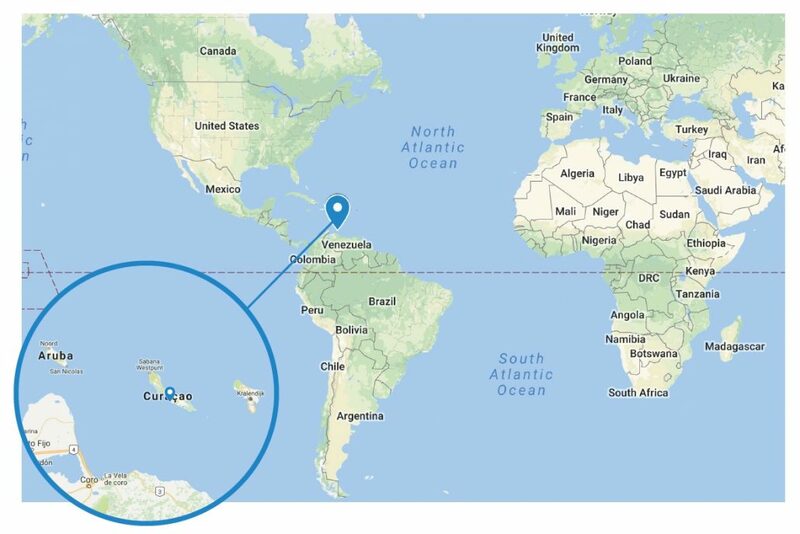 There you can enjoy the cool trade winds with the beautiful view over the Caribbean Sea. 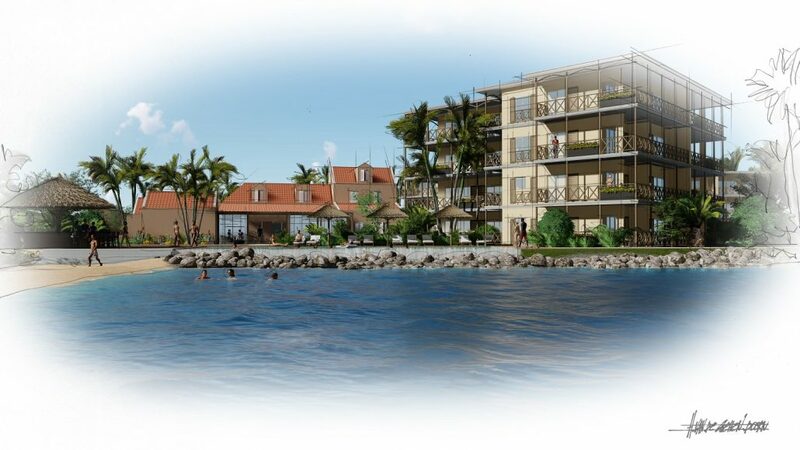 Contact us today and enjoy the "Unique lifestyle living at Curaçao". The central staircase is on the street side and is equipped with an elevator which provides access to all floors. The complex is surrounded by a beautiful tropical landscaped garden, with many native plants, trees and hiking trails which will be illuminated in the evening. The "apphotel" apartments are accessible only through the central entrance of the Mansion "Goede Hoop", where a 24/7 reception/security will be present for you and the guests. The front desk is managed by a professional team of employees who wil provide you with the best car and service. On the opposite side of the street there is a secure enclosed parking lot. 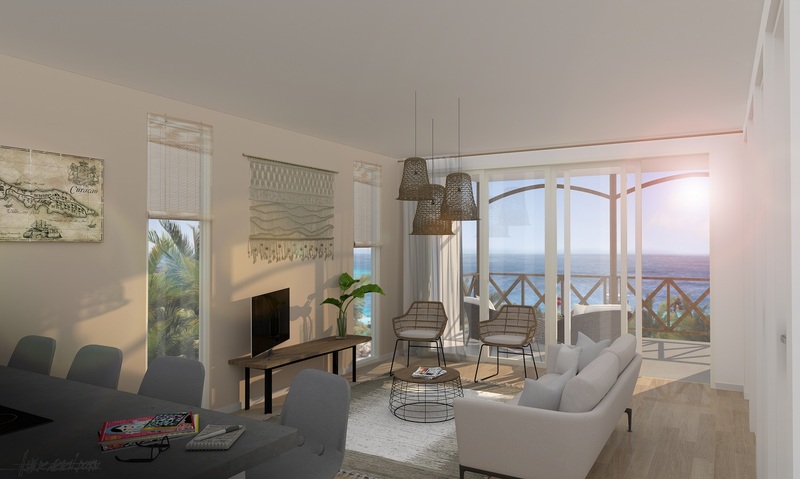 From your apartment at the seaside you can enjoy the cool trade winds with a beautiful view of the Caribbean Sea and the boats that pass through the port of Willemstad. The nearby Beach offers you the opportunity to enjoy swimming in the sea or enjoy the complex's swimming pool while enjoying a cool drink. The garden decorated in Caribbean style and pallapa’s with beachchairs, will make you relax at the swimming pool while you enjoy the magnificent view over the Caribbean Sea. The mansion has a cosy bar and a gourmet restaurant. 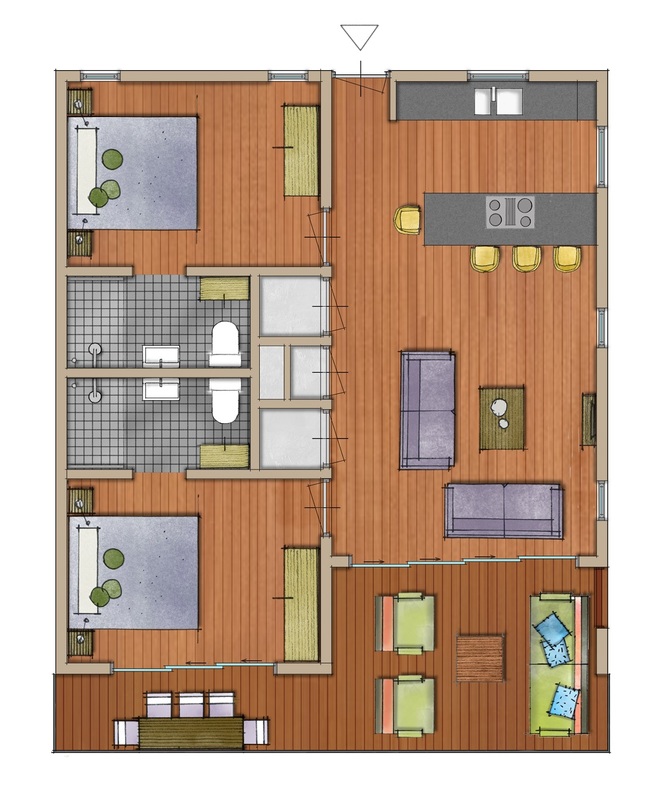 The apartments start at 1076 sq/ft with an optional luxury Interior package. The apartments can also be increased to 2152 sq/ft and various options in terms of formats so that we can meet all off your needs. The "apphotel" apartment gives you the possibility to live there permanently or to rent it out by the hotel operator so that you have a good return on your investment. 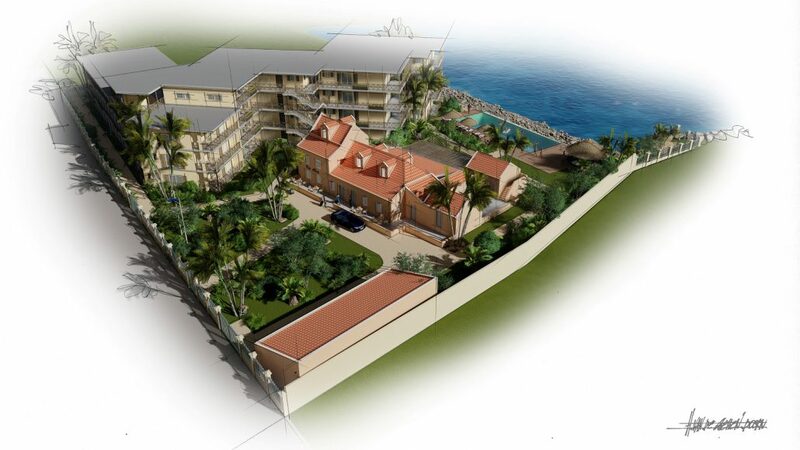 Located on one of the most beautiful locations of Curacao, Penstraat with direct views over the Caribbean Sea. Located between the authentic Punda, Willemstad and the modern nightlife of Mambo Beach, right next to the beautiful district of Pietermaai. 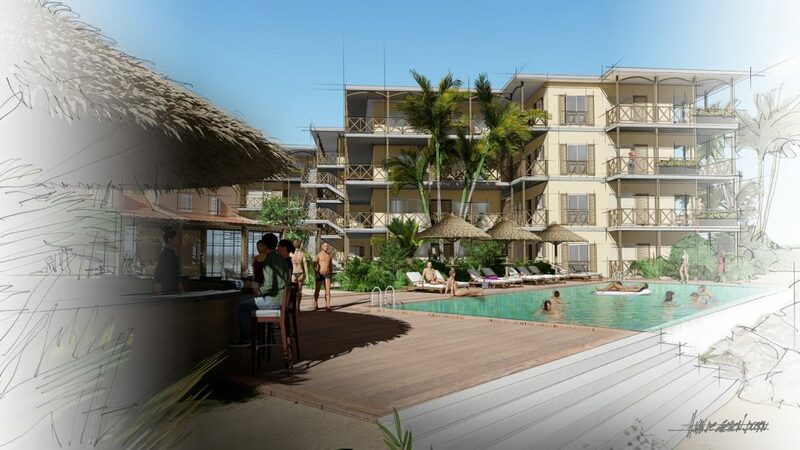 Pen Alley Curaçao has the “apphotel” apartment concept developed in a way that your investment pays off. You can permanently stay there like home with all the facilities of a hotel. Other services that we can offer go from airport pick-up up to medical care. During your stay, and during the period you rent out the property, we manage your apartment so your investment is optimally profitable. The reception is under the supervision of the owner’s association, so you as an owner, have a clear view over the state of affairs. 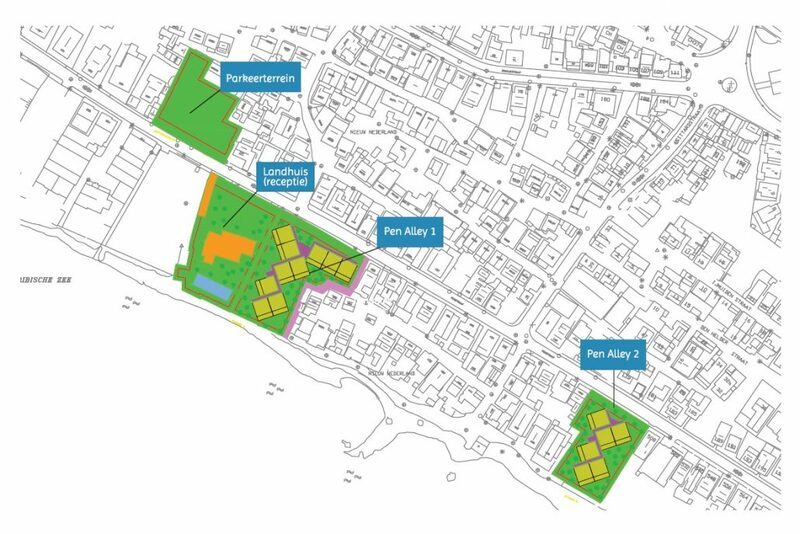 The apartments are on freehold land. The mansion “Goede Hoop” is the pivot on which everything turns. This allows you to optimize your return on your investment. Permanent monitoring, 3-monthly reporting by the owner’s association, independent accountancy supervision and annual owner’s association meeting. Bonaire Realty is the prefered realestate agent for Bonaire for this project, and various Curacao brokers have this project for you on sale, so visit on-site is possible, but ID brokers, with 65 years of experience, is “overall leader” and connected to NVM and NWWI and provides that the settlement is done correctly. The certified contractor is also the developer making sure the construction is checked by the notary.